Two Apple thefts in the same part of New Jersey, an indictment for a professor who spent thousands of federal grant money on Apple purchases, and more, in AppleInsider's latest in an occasional series, looking at the world of Apple-related crime. The theft of an iPad from a car outside a fitness center led to a high speed chase after police tracked the device and pursued the vehicle. According to WSB-TV in Atlanta, a pair of 17-year-olds stole the iPad, which was then tracked to a car that had also been stolen from an airport car rental lot. The ensuing chase, which included shots fired from police, ended when police stopped the car using spike strips. Following the forced stop, the drivers got out and ran across I-85. They were both captured on foot, with one running across eight lanes of traffic, and the other later found hiding under a woodpile. 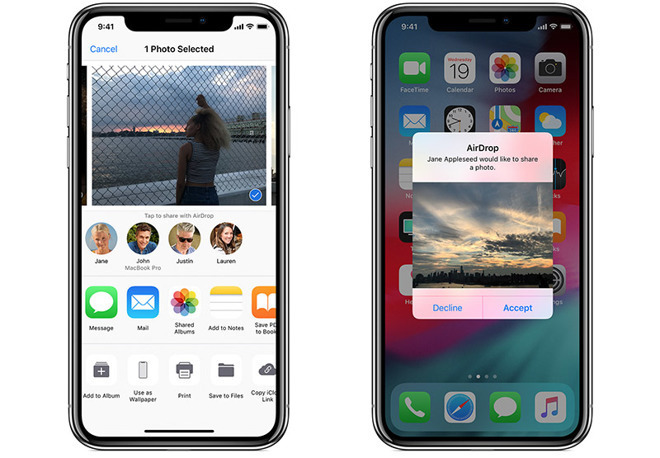 The act of sending lewd photos to unsuspecting strangers' phones through AirDrop- known as "cyberflashing," is allegedly on the rise, according to a local news report. CBS 3 in Philadelphia references recent reports that New York lawmakers are seeking to "help prosecute the digital sexual harassment." There aren't any statistics shared to show how prevalent the practice is, but users are advised to adjust their privacy features. A group of thieves took display iPhones worth a total of over $3,000 from a Target in Marlton, N.J., the Cherry Hill Courier Post newspaper reported. The theft, which took place Nov. 28, took just four minutes, and the thieves fled in a Dodger Charger. At that same Target last month, a couple used a stolen credit card to spend $900 and then attempted a $5,000 purchase at a nearby Apple Store which was declined. Police say the man and woman stole the card by lifting a woman's purse at a Whole Foods. An 81-year-old Florida man last month fell for an online scam that entailed buying and selling a shipment of iPhones. According to WFLA, he was offered $200 per transaction in order to send a shipment of iPhones- but once he bought the phones, a man immediately pulled up and stole the items out of his car. After the theft, the "employers" asked him to buy eight more phones —which he did —and then didn't hear from the scammers again. A former college professor has pled guilty to federal charges that he stole money earmarked for federal research grants and spent it on purchases from Apple, Amazon, and eBay. Jichun Zhang, a former Research Associate Professor at the University of New Hampshire's Institute for the Study of Earth, Oceans and Space (EOS) spent a total of $6,900 worth on improper purchases. According to a news story in Seacoast Online earlier this year that cited the indictment, Zhang made one Apple purchase totaling $2,569. Sentencing is set for March 2019. A duo was recently indicted on federal charges that they carried out a scam to bribe Postal Service employees to give them credit cards stolen from the mail. And when they used them, they favored Apple products with their ill-gotten gains. According to Patch, when the scam operated beginning last year, the perpetrators often used the stolen cards to purchase "Apple MacBook Pro devices and other Apple products." They face numerous charges, including bank fraud conspiracy and aggravated identity theft. A disc jockey who performs around nightspots near Colchester in the U.K. had the MacBook Pro he uses for his DJ sets stolen from the bar where he works. According to Gazette News, a man was caught on CCTV entering the bar and taking the 15-inch laptop, which contained the entire collection of music he uses when performing. Two people, an 18-year-old man and a juvenile boy, were arrested after carrying out thefts of iPhones and iPads from Sprint and T-Mobile stores west of Chicago. According to the Chicago Sun-Times, the two each face four counts of burglary and theft, and two of their accomplices remain at all.